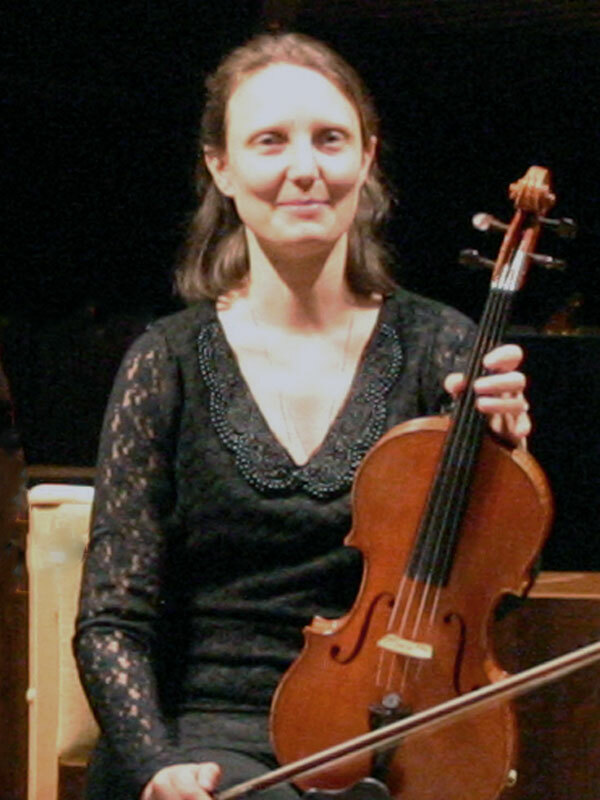 Vanessa McNaught started to learn the violin at the age of four and took up the viola aged 12. She was awarded the Director’s Prize at Junior Guildhall, having performed as soloist with their String Ensemble on tour and broadcast on BBC Radio 3. She went on to gain a Masters degree in philosophy and mathematics before completing a postgraduate diploma at the Royal College of Music with distinction. While studying at the RCM, Vanessa won all the string chamber music prizes and the Bernard Shore viola prize in the Royal Over-Seas League competition. Vanessa was a founder member of the Tavec String Quartet, winning many prizes and being chosen for the Countess of Munster Musical Trust Recital Scheme. She now plays with a variety of chamber music groups and chamber orchestras including the Adderbury Ensemble. She has enjoyed playing at the Edinburgh Festival, Wigmore Hall, and International Musicians‘ Seminar, Prussia Cove amongst others.